Photographs by Þorvaldur Örn Kristmundsson. This exhibition depicts the life of the farmers, deserted farms and the landscape of one the oldest farming communities in the Ísafjarðardjúp in the western part of Iceland, where hardship and harsh weather conditions have put a mark on their daily life from the times of the first settlers. 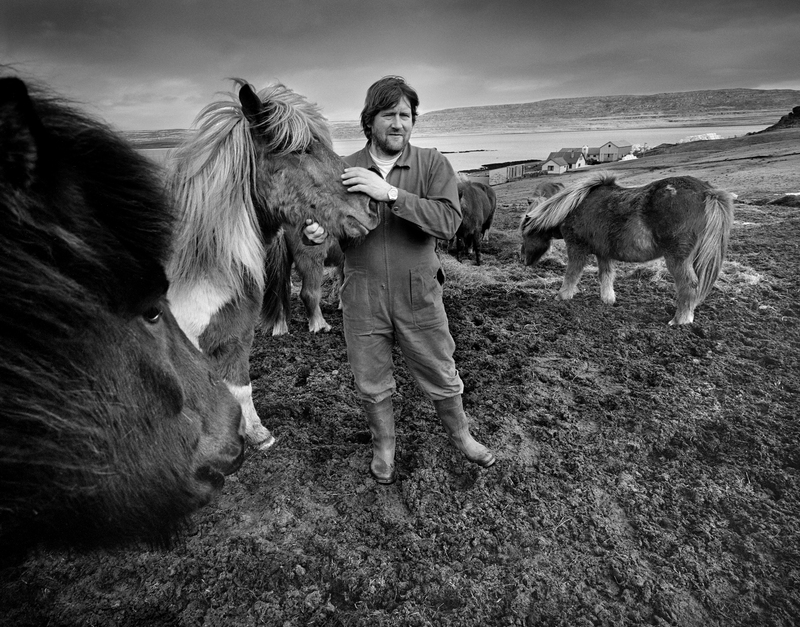 This exhibition depicts the life of the farmers, deserted farms and the landscape of one the oldest farming communities in the deep fjord Ísafjarðardjúp in the western part of Iceland, where hardship and harsh weather conditions have put a mark on their daily life from the times of the first settlers in Iceland. The area is isolated and unspoiled and spectacular in its grandeur. Nevertheless, some farmers still cling to the traditional way of life rooted in the oldest settlement in the country. This community has been under decline in recent years and few farms are now inhabited. In Iceland, as elsewhere in the world, people seek to the bigger towns and cities for more opportunities in their daily life. What connects this declining farming community close to the Arctic Circle is that the same trend can be seen globally; traditions, heritage and knowledge die out since there is no one to take over the family farm. This is the story of the inhabitants, the farmers and their surroundings, who live in a remote part of Iceland. It’s one of the oldest farming community's in Iceland, dating back to the settlers’ time. This remote cultural landscape is transformed; the organic relationship between humans and nature as well as the loss of know-how and the passing away of traditional culture is inevitable. Þorvaldur worked in the media from 1991 – 2012. Þorvaldur has held many private exhibitions in the last 20 years, for example Visa Pour l´Image - Perpignan, France, Copenhagen Photo Festival og Perspektivet Museum Tromsø Norway. For further information please visit the photographers website here.